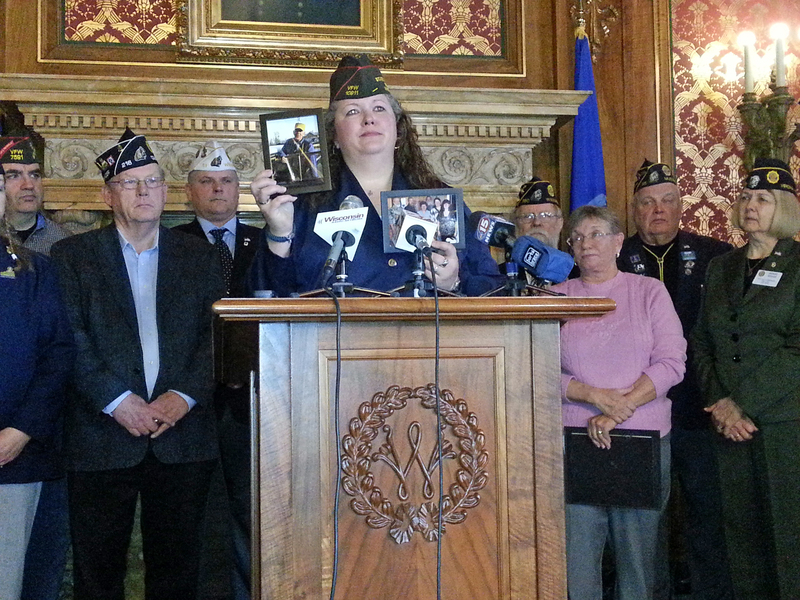 Despite strong opposition from some military veterans groups and Democrats, Governor Scott Walker signs legislation dealing with asbestos-related lawsuits. Under the new law, cancer victims filing asbestos-exposure lawsuits against an existing company would have to disclose claims or potential claims against asbestos compensation trust funds. Military veterans opposed to the legislation (AB-19) say it would “delay and deny justice to victims exposed to asbestos,” especially veterans. Jason Johns is the State legislative officer with the Military Order of the Purple Heart. He’s the executive director of Wisconsin Asbestos Victims Network, a coalition of veterans groups who had been speaking out against asbestos legislation. Those groups — Wisconsin American Legion, Veterans of Foreign Wars and the Military Order of the Purple Heart — say the law eliminates accountability for corporations who knowingly exposed veterans and Wisconsin workers to deadly asbestos. Veterans make up 30 percent of all mesothelioma-related deaths, Johns explains, but only 8 percent of the population, so the measure disproportionately affects veterans. “In all my years at the Capitol, I have never seen a bill more devastating to veterans,” he says. Asbestos was prevalent in military ships, barracks and vehicles. It was also common in many factories, shipyards and plants where veterans worked upon their return home. In a statement, Walker says the bill is about “ensuring transparency in the lawsuit process to stop trial lawyers from double dipping.” He insists the measure does not prevent victims from filing claims and will ensure the solvency of the asbestos trust. The governor quietly signed the heavily-lobbied legislation into law Thursday morning along with 28 other bills. Walker also issued one partial veto and one full veto. Wisconsin Civil Justice Council supports the legislation, saying the measure assures that defendants pay only their fair share of any damages they caused. The group disputes claims the law would delay justice or prevent victims from being compensated.